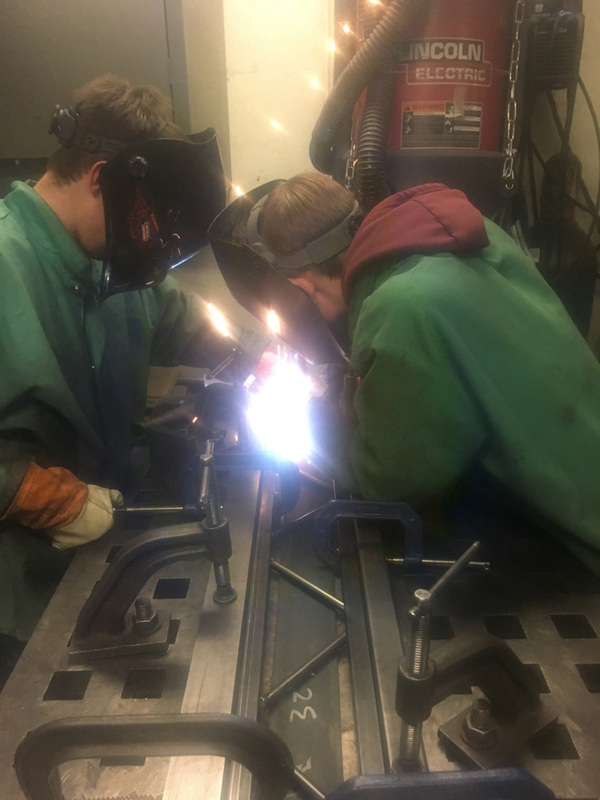 Whether it’s a tied-arch, a girder, or a truss, steel bridges and sparks from welding joints get in the bloodstream early for aspiring civil engineers at Lafayette. On a recent morning, as the rest of campus hunkered down to prepare for final exams, three teams from Prof. Steve Kurtz’s Structural Analysis and Steel Design course participated in the 16th Annual CE311 Steel Bridge Competition in the basement of Acopian Engineering Center. The objective is to produce a 22-foot-long steel bridge that is lightweight, stiff, and rapidly constructible. Teams representing each lab section spend five weeks designing their bridge and another five weeks fabricating it, doing all of the welding, cutting, and drilling following the rules of the National Student Steel Bridge Competition, which Lafayette won last year. Kurtz, associate professor of civil and environmental engineering, looks forward to the December event because it is the culminating moment in his CE311 class. This year’s winning team of juniors, Invalid File, was playfully named after one of the team’s corrupted computer files. Team members are Jesse Anderson, Phil Brown, Taylor Danson, Danielle Gardner, Ann Mallavarapu, Alfred Meau, Jeremy Mintzer, Angie Orellana, and Nicolette Sonmez. 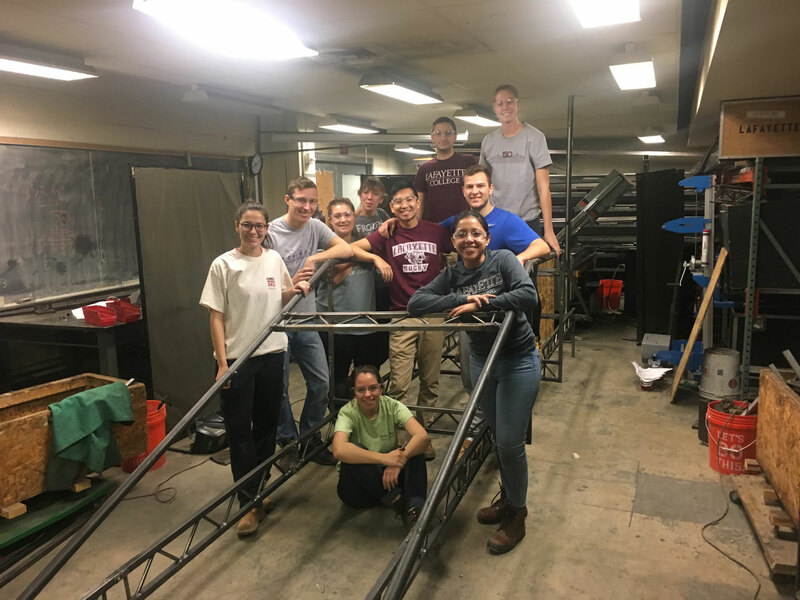 Their 22-foot-long tied-arch-style bridge passed the 2,500-pound load test, and the team was able to assemble its bridge in just over 16 minutes. Learn more about the national Student Steel Bridge Competition.